Science on Stage Belgium is a nonprofit organisation which addresses itself to middle and high school science teachers in both the French and Dutch speaking regions of Belgium. The initiative offers them a platform to exchange with colleagues from all over Belgium and Europe. The national Science on Stage event ‘Playful Science’ took place on 15 March 2014 in Brussels. Interested teachers presented their ideas for innovative science teaching. 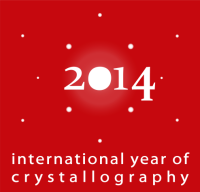 The first two photographs in this gallery show crystallography contributions to celebrate IYCr2014. Exposcience is a meeting for youngsters aged between 5 and 25 to present innovative ideas and scientific experiments.